In any business, it's critical to have a daily bird eye's view of your stats and that's true regardless of whether you own the company, or you are in charge of marketing for the company. In no industry is this more important than E-Commerce; demand fluctuates, inventory fluctuates, prices go up and down — you need to be able to make decisions quickly and assess where you are and what you need. Chargebacks, refunds - there are a million ways your sales numbers can deceive you; but the money never lies. The main thing we are looking at is the order/refund ratio (available in the Apptics dashboard, hint hint) - customer service is our ultimate priority. Ok we admit it - product efficiency is internal jargon - not to be confused with the economic concept of production efficiency. Looking at Shopify directly gives us a broad overview of performance, data not available looking at just the revenue alone. 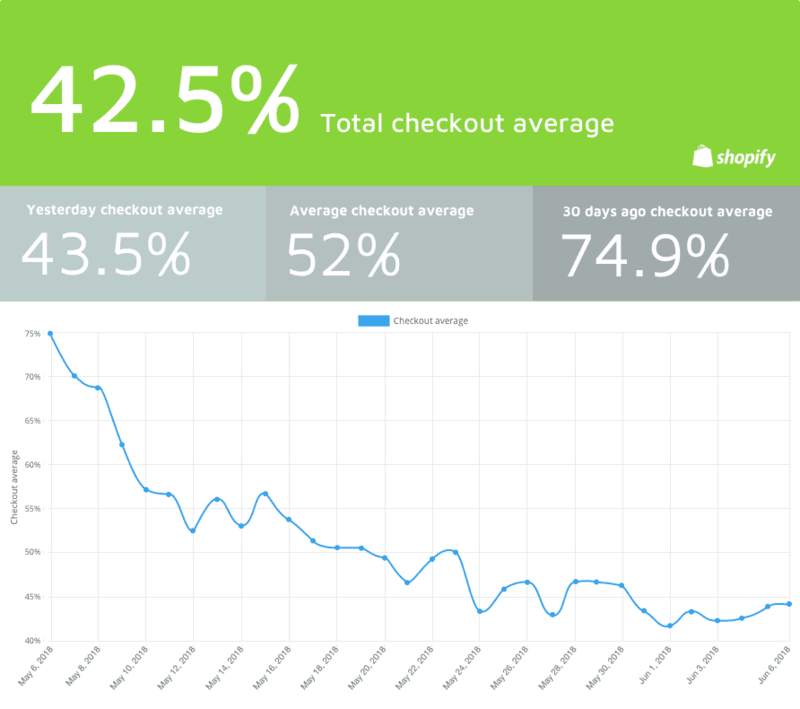 Our favorite thing to optimize is checkouts; having already run through Stripe, customers/order numbers aren't so critical. We want to know if we are having some issues on site - maybe we need more product promos, exit intent popups. A drop in the averages is a big signal something needs to change. In the event of the latter, if it exceeds a certain level/spikes over the course of the day, we will then go back into MailChimp and make the necessary changes. 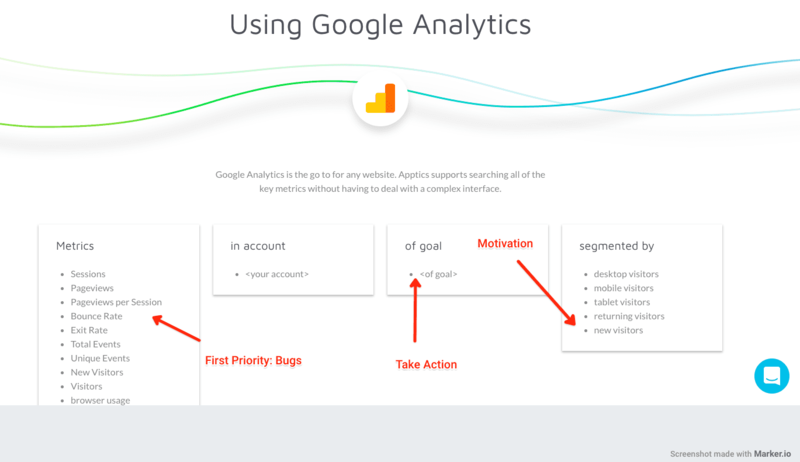 Analytics is probably our favorite word, and Google Analytics is our most important tool. All of our conversions ultimately come through the site; we know repeat business is crucial in our industry and we are always looking to optimize it. We have landing pages and promos for our different product lines, and goals set up for each - our A/B tests are ongoing, and if our AOV from Shopify is looking poor, we go to these stats immediately. Bounce rate, page-views and other traffic quality statistics are important to us, but segmented numbers for our different lines is the most crucial place for us to take action. When it comes to pay-per-click advertising, we like to keep it simple and stick with the most-widely used platform, Google; Google Shopping makes it ideal for e-commerce, more so than Amazon, in our opinion, because we like to keep our margins high. The main thing we are looking for is whether our campaign CTR and CPC averages are underperforming - or even over-performing. We want to know what's working. Like the other platforms we check, we will use this KPI as a signal to investigate further or not . I know what you're thinking - checking those metrics is a time consuming process, how do we handle it? Well, like you, we just pushed through the pain every day, logging into each service and wasting time finding those stats. Then we created Apptics, to make finding those stats easier and easier to report. Right now we are running a promo for two months free - all you have to do is complete this quick survey. We'd love to hear your thoughts! In any case, stay tuned and subscribe to our newsletter for more e-commerce tips and tricks, delivered to your inbox, weekly! Big team? Want a demo? Schedule a consultation here and see how we can help.